Thinking of giving an oil painting set? 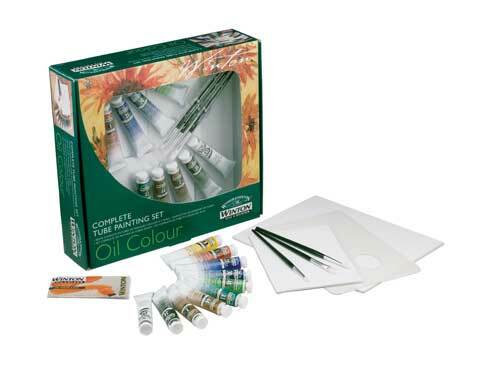 This oil painting art set comes complete with all the necessary tools to create an aspiring artist’s first masterpiece. It includes ten 21ml tubes of Winton oils, three synthetic brushes, a plastic palette, an instructional leaflet and two canvas boards (8" x 10" and 5" x 7"). The oil painting set everyone puts on their gift list. Ships quick throughout the Chicago metro area. Field tested in Lake Forest and Glenview.